Everyone can afford Moments! Check out our 3 Value Packages. 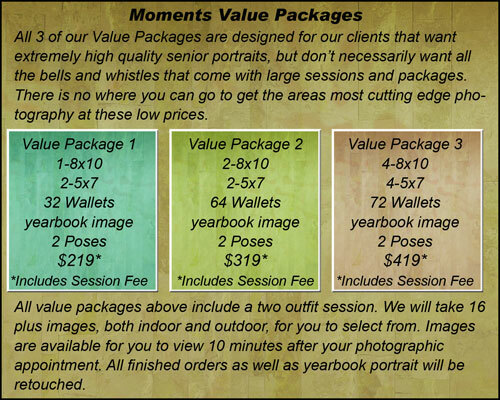 Please Note: You must request these value packages when you book your senior session. They are not available with any of Moments other advertised sessions or specials. Please call the studio (814-944-3786) with any questions.